The essence of innovation, yet light as a feather--that's Spring. 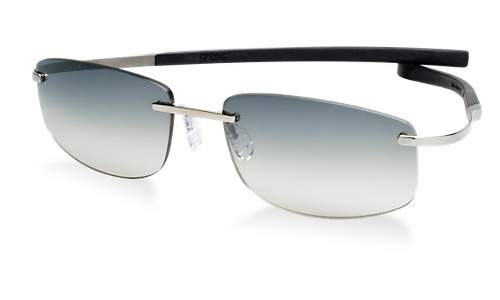 With an ultra-light frame weighing less than 10 grams, this black, rimless look by Tag Heuer features temples in beta-titanium with elastomer tips for perfect grip and optimal comfort. Adjustable temples and end-tips suit all face shapes. Lenses are gradient grey.